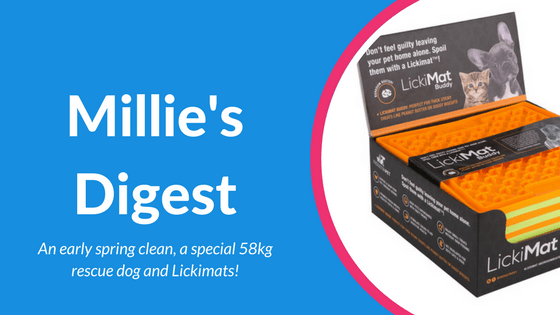 Millie’s Digest: An early spring clean, a special 58kg rescue dog and Lickimats! Hey all – hope you’ve been having your own Sunday Funday and found time to enjoy that gorgeous sunshine! The feedback on this week’s fursday blog has been amazing! So many people saying they didn’t realise how many places to eat in Carnoustie are dog-friendly too. You can find the blog and list of places to eat in Carnoustie over HERE on the blog. Do let me know if we’ve missed someone out or if you have a favourite too. we are now booking 2 weeks in advance and our next available appointment is now on Saturday 17th February. Do just hit reply or give us a call on 01241 857893. If we have any changes, I’ll make sure we post those dates over on Facebook HERE. #4 Have you let us know what you love about your furiend? #5 Have you let us know what you love about your furiend? We all know a dog can change your life and so I always love reading other people’s stories. Find out how a 58 kg rescue dog changes Jo’s over HERE in this fab Sunday Times article. n.b you’ll need to enter your email to read the full story. On a similar theme, there was a great article in the metro (HERE) on how adopting a dog can help strengthen a relationship. Now we don’t suggest that relationship issues can be solved by adding a dog to the mix (for those suddenly worrying) but this is a lovely article with lots of great insight into the challenges that a rescue dog can be but also how rewarding it can be too. We are big DogFit fans having taken a couch 2 5k canicross course with them before our move back home to Scotland. Every month, they are giving away a prize to a dog rescue charity which you can nominate. Just head over to their Facebook page HERE and you’ll see a post pinned to the top where you can nominate a local charity. I’ve been talking A LOT about interactive toys and treats over the last few months. Chewers, lickers, indoor game ideas and games, we all recognise how important it is to work with your dog to tire them out mentally as well as physically. 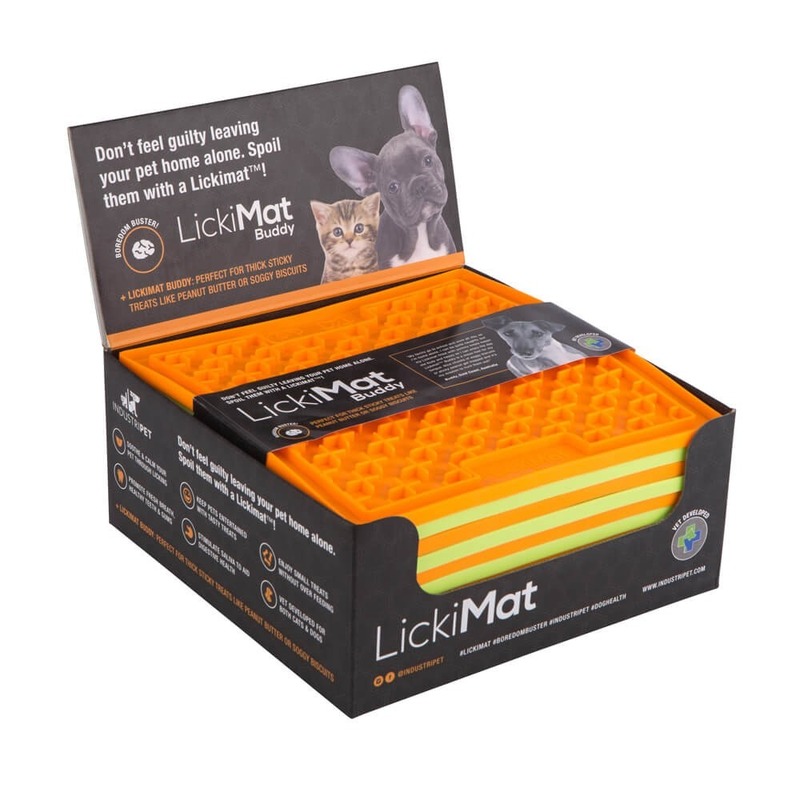 So in my hunt for new products in this space, we’ve come across Lickimat and have one at home to try out as a sample. It’s been a success so far, so keep an eye out for our stock coming soon. They are available in three different formats and suitable for cats and dogs too (from £3.89). 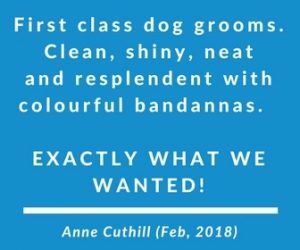 With January being a popular month for booking holidays, it s not surprise that we’ve been asked more and more for boarding and kennel recommendations. Personally, we’ve always home boarded due to Millie’s personality and our own preference and so have found myself recommending Boarding Buddy’s who are based in Carnoustie. Fully checked, insured and more importantly, a fab family, who you will love. Do check out their Facebook page HERE and get in touch if you are planning holidays. Spaces in all boarders and kennels can book out up to a year in advance, so don’t leave it to the bottom of the holiday planning list!